Auger Electron Spectroscopy (AES) and X-ray Photoelectron Spectroscopy (XPS or ESCA) are well-established techniques for surface analysis and also (when combined with sputter depth profiling) for thin film and interface analysis. 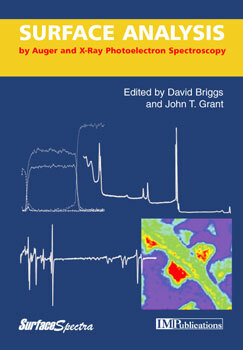 This book is the first comprehensive treatment of the subject for over 10 years, during which time there have been many advances in instrumentation and performance, understanding of electron spectroscopy fundamentals, experimental methodology and data interpretation, which have markedly enhanced the capabilities of AES and XPS. All this new information is now integrated into a thoroughly up-to-date reference volume for the benefit of researcher and practical analyst alike. There are also extensive Appendices of reference data.